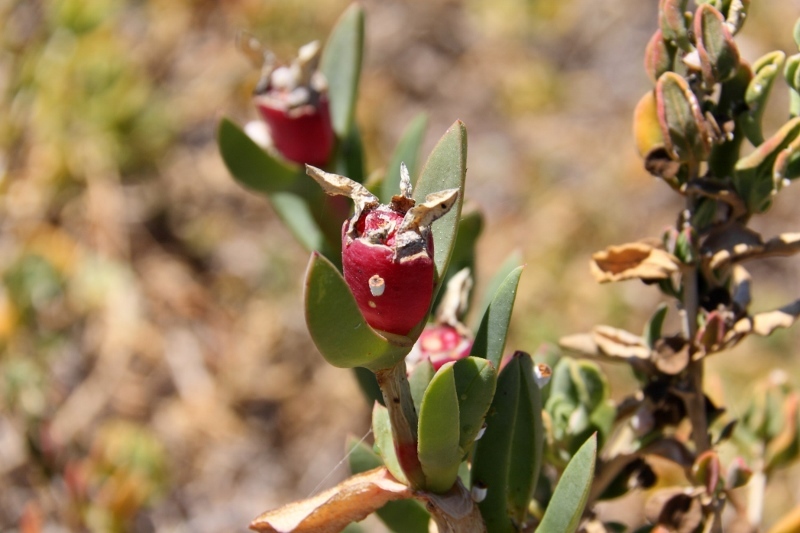 Pigface is an easy to find source of bush tucker and produces good quantities of tasty fruit. It’s a common ground covering plant found in coastal dune areas around the southern half of Australia. It has bright green succulent leaves that are triangular in cross section with tips that taper to a point. The leaves fade to dull green / grey in poor conditions. Pigface growing in the dunes on a beach in south west Western Australia. 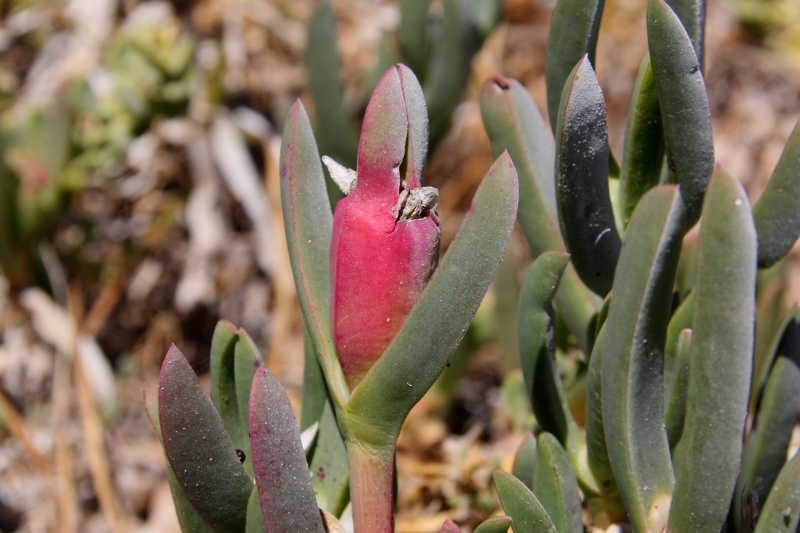 There’s a couple of similar species – Carpobrotus rossii, found throughout the southern half of Australia, and Carpobrotus glaucescens, which is found only on the east coast. The images in this article are all of Carpobrotus rossii. The eye-catching purple-pink flowers bloom in spring and summer. Pigface fruit are edible and taste a bit like salty strawberries. The fruit emerge green and turn red when ripe. The fruit skin is not eaten. To remove from the skin, pick the fruit off the stem. Then squeeze the white inner flesh out of the hole where the stem used to join the to the fruit. The white flesh is the edible part. The leaves are succulent and fleshy. The inner flesh of the leaves is moist and has a similar consistency to aloe vera. In fact it can be used just like aloe vero. It has a cooling, moisturising feel and can be used to treat insect bites, burns and sunburn. The leaves can be eaten too and have a salty flavour. They can be used to add salt to other dishes.